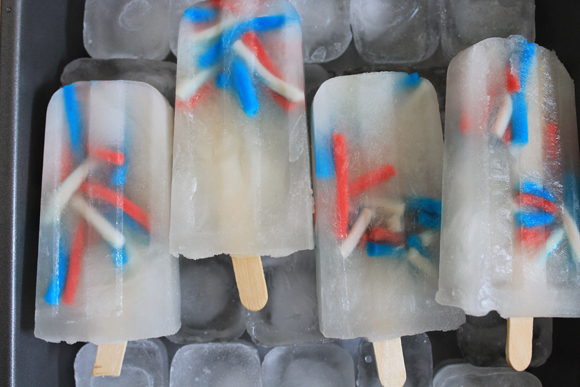 less is more: lemonade fireworks popsicles. I originally found these through research I did for a post at work, and knew that I had to make them for the Fourth. 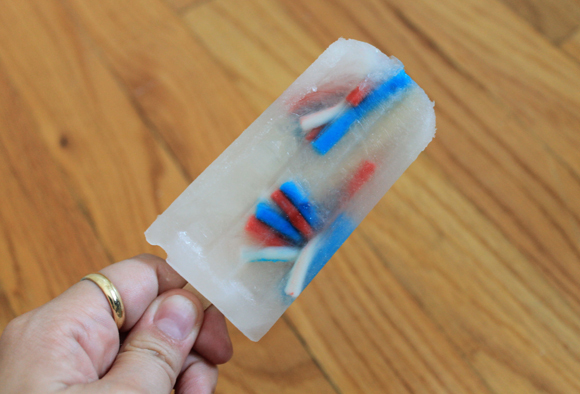 I have this popsicle mold — and definitely put it to good first use — but any popsicle mold will work. 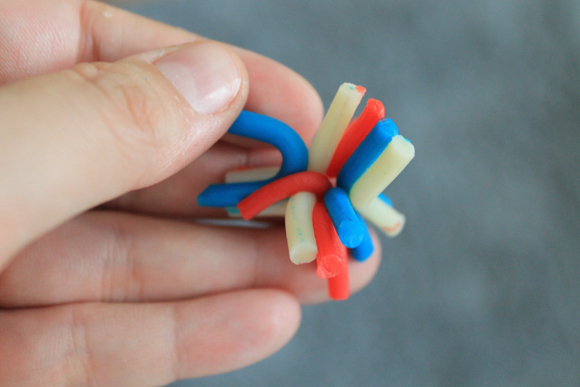 Using small, less than an inch pieces of pull-n-peel twizzlers — because these were for the Fourth, I used the red, white, and blue berry lemonade twizzlers — create the "fireworks" by peeling from both ends until they look like pom-poms. This was the hardest part for sure — when you peel from both ends, the middle doesn't stay pinched together, so you have to hold it all together (which gets tricky). The second hard part is sliding the "fireworks" into the mold without them going back to their original position (flat). The only advice I can offer is practice. 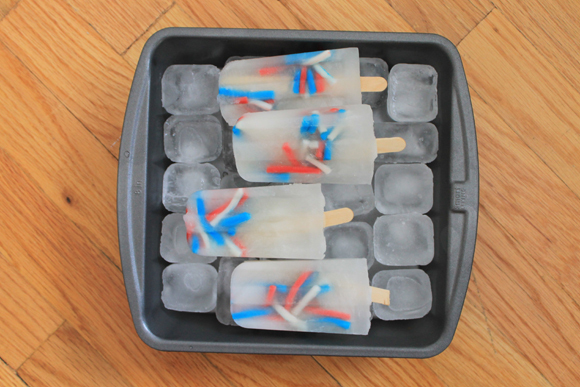 Make sure you leave space between the two twizzler fireworks for the popsicle stick later. Once each mold has two pieces of candy, pour lemonade in to fill up the molds. Let them freeze for a few hours, and serve cold. 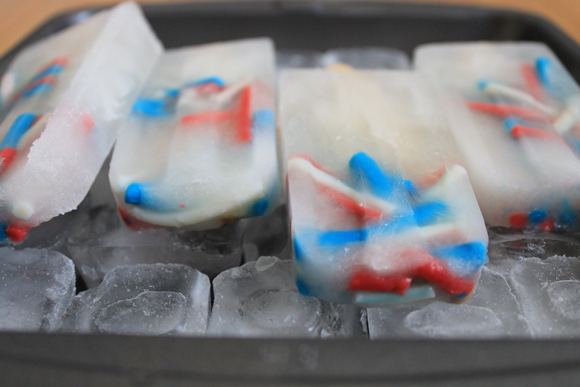 I know I'm a little late on my game and the Fourth has come and gone, but Labor day is coming, which is a perfect time to make these, or honestly, they're pretty delicious for any old time.